All the Apple product users who have bought the Apple devices and as Apple constantly upgrades their devices and includes new features so the older version owners will surely be tempted to get the new models and most of them sell their old one’s if they are in working condition or some who just don’t know how much their old devices might fetch them keep them and use them as a second phone. So this Post will be very useful for those customers who might want to know how much their old device might fetch them and sell their devices without loosing some money by selling it for costs less then their device might fetch. And this service is given in the official Apple website. You have to select the one which you want to know the rate of, and then go to the next step. The second step is the selection of the Manufacturer of the device you have selected. If you have selected Desktop – You will be getting Apple and PC/ Windows in the Manufacturer section. 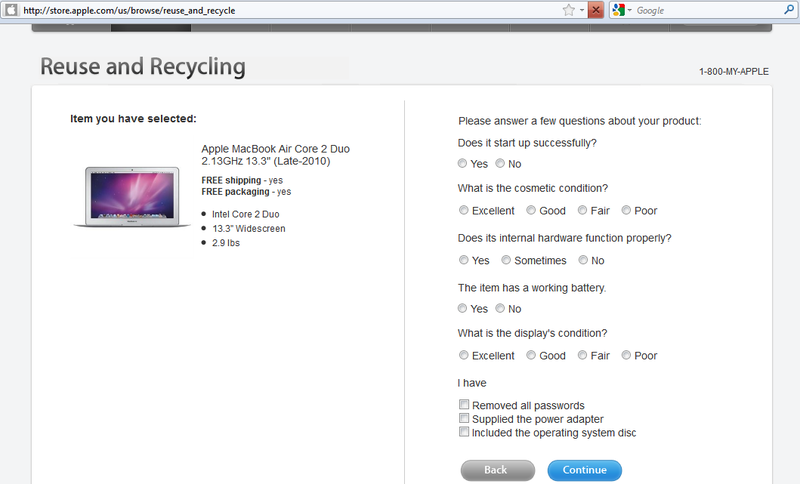 If you have selected Notebook – You will be getting Apple and PC/ Windows in the Manufacturer section. If you have selected iPad – You will be getting Apple in the Manufacturer section. If you have selected iPhone – You will be getting Apple in the Manufacturer section. The Third Step will be Selecting the Series of the Product you have selected in the first and second steps. The 4th Step is to Select the Model you have and then Press Continue. This will lead you to another Page where you will be seeing many questions which should be answers based on which the estimated price you can get for your device will be given. Does its internal hardware function properly? The item has a working property? What is the display’s condition? 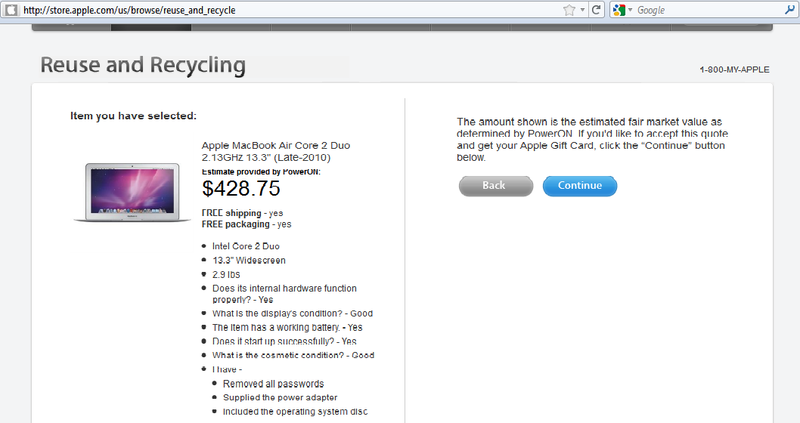 Where i got an estimate of $428.75 for my Apple Mac Book Air. After this you will be seeing an option to get an Apple Gift Card. In this way you will be able to get an Estimate of the Product which you wanted to sell, which can even be used as a proof to get the right deal for your product.